In 2011, I traveled to Nouakchott, the capital city of Mauritania to record wedding music. Over the course of six months, I went to a variety of weddings: from the luxurious, high end invitations in the chic neighborhoods of Tevragh Zeina, to the ramshackle tent affairs in far flung suburbs with names like Falluja. Through a gracious network of musicians and sound engineers, I crashed weddings across the capital. 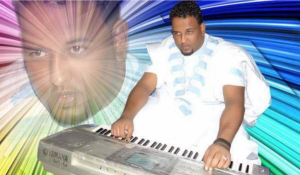 Mauritanian music is loud. Musicians wail out microtonal praises, blasted through blown out amplifiers. Modified guitars warble with underwater phasing over impossible sounding scales. Drums are heavy and resounding and accompanied by the clatter of metal plates. 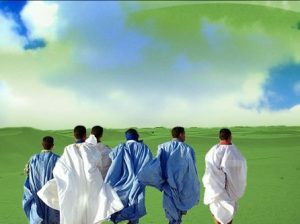 The Mauritanian wedding is the premiere venue to hear popular Mauritanian music. This is not music for the bar or nightclub. 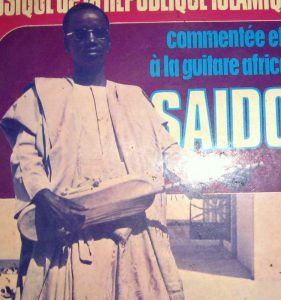 While modern instrumentation has swept across the world, in Mauritania modernity has been absorbed by a bigger pre-existing tradition, and music was reshaped. Modern Mauritanian wedding music may have traditional lutes and ancient dances, but it also has electric guitars and phaser pedals. This movement is as much cultural as it is political, intertwined with post colonial changes, equal parts cultural exchange and nationalistic isolationism. In any case, today this music is thriving in Nouakchott — a unique sound that exists nowhere else in the world. got the vinyl a week ago; I like it while it’s a pitty, that the songs are so short; were they really as short as that? in fact the weddings can go on for hours — the performances are not songs as such; many of the tracks are merely modes of a longer, classical, composition.